1.) 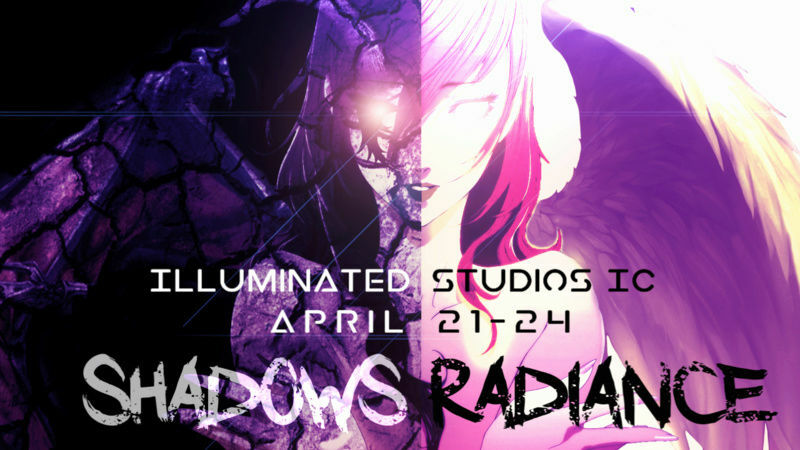 Choose a team (Shadows or Radiance). 2.) Choose a category in your team (see below). 3.) Edit one of the songs in the category's song pack. 4.) Videos should be a minimum of 1 minute and 30 seconds in length. 5.) Use anime only, and render videos in HD settings. 6.) You may participate as a solo editor or in a team of 2-3 people. 1.) Rankings for each team and category will be provided at the end of judging. - A chance to be a guest in the next IS MEP and to request songs/themes for the next MEP. - A chance to have your MAIN group collab with IS and request songs/themes for the collab. 3.) The grand prize will be given to the 1st place overall ranking! This prize will be BOTH above prizes AND another mystery prize (if a solo participant)! 1.) Discord and Skype chats will be available (starting April 20). 2.) IS members will judge entries, but we will NOT enter the IC competitively or rank our own videos. 2.) You don't have to choose a team/category yet, just show your interest in joining the IC! 3.) Instructions regarding submitting videos are located here. If you have any questions, please ask in the comments below! Already singed up for this, good luck!